The night of her return, Bess meets Tom Cole by chance on a trolley platform. She finds herself inexplicably drawn to him-against her family's strong objections. He is not from their world. Rough-hewn and fearless, he lives off what the river provides, and he has an uncanny ability to predict the whims of the falls. His daring river rescues render him a local hero and cast him as a threat to the power companies that seek to harness the power of the falls for themselves. As their lives become more fully entwined, Bess is forced to make a painful choice between what she wants and what is best for her family and her future. 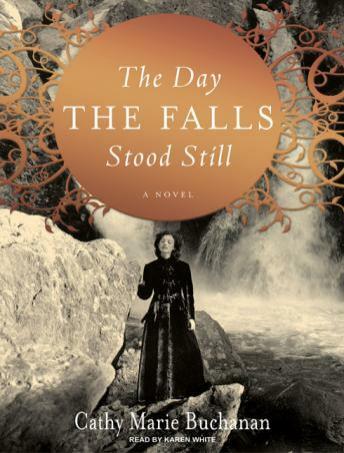 Set against the tumultuous backdrop of Niagara Falls, at a time when daredevils shot the river rapids in barrels and great industrial fortunes were made and lost as quickly as lives disappeared, The Day the Falls Stood Still is an intoxicating novel.